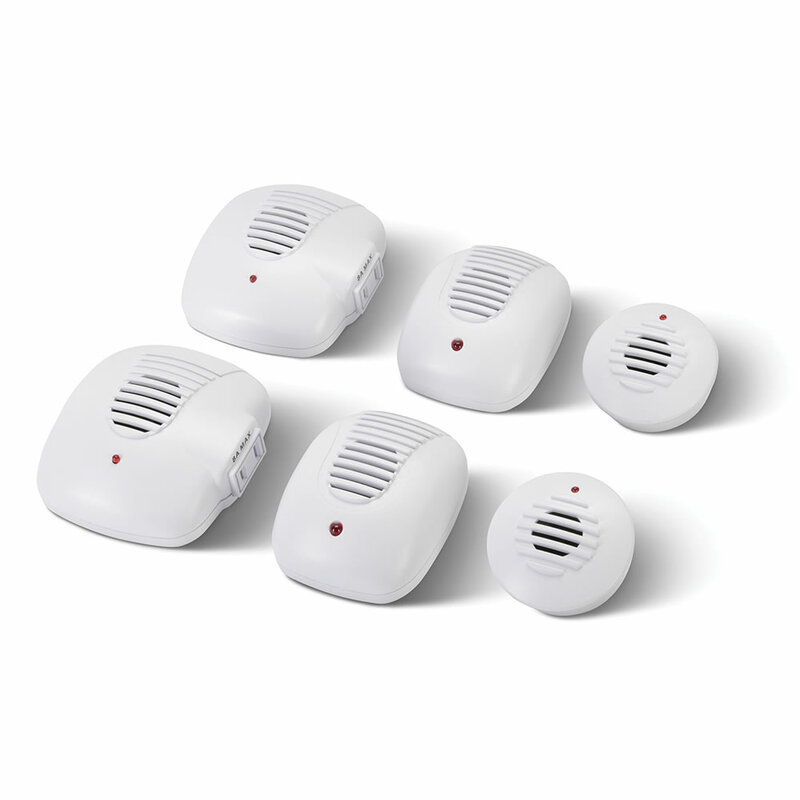 This is the pest repelling kit with six plug-in devices that emit an ultrasonic frequency inaudible to human ears. 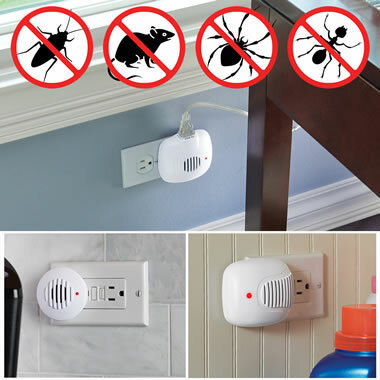 It helps rid a home of unwanted pests by silently and humanely deterring mice, rats, ants, spiders, and roaches. 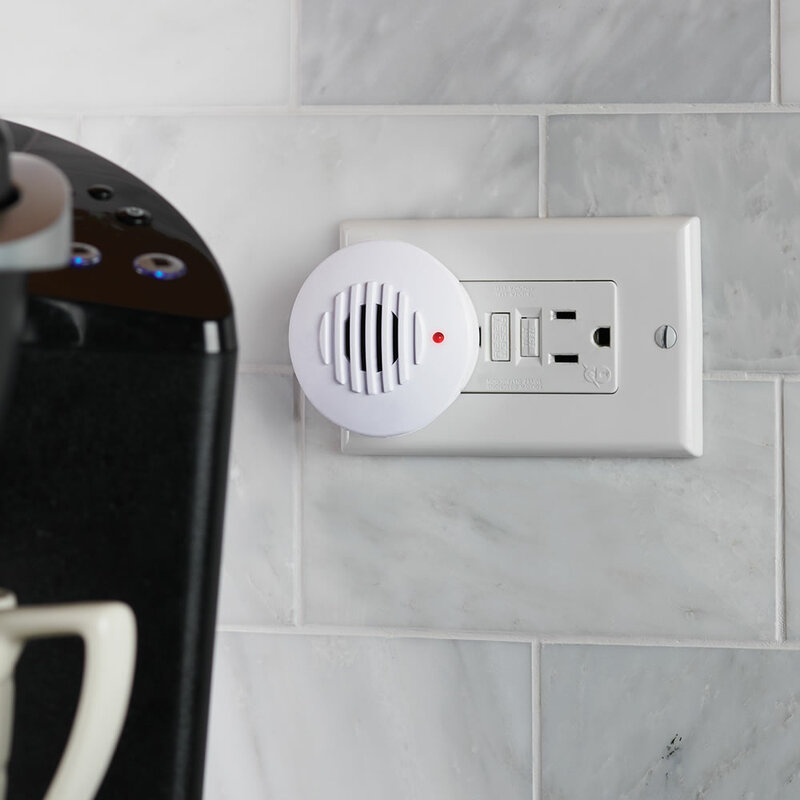 Each repeller plugs into AC and automatically starts emitting undetectable 40KHz sound waves. 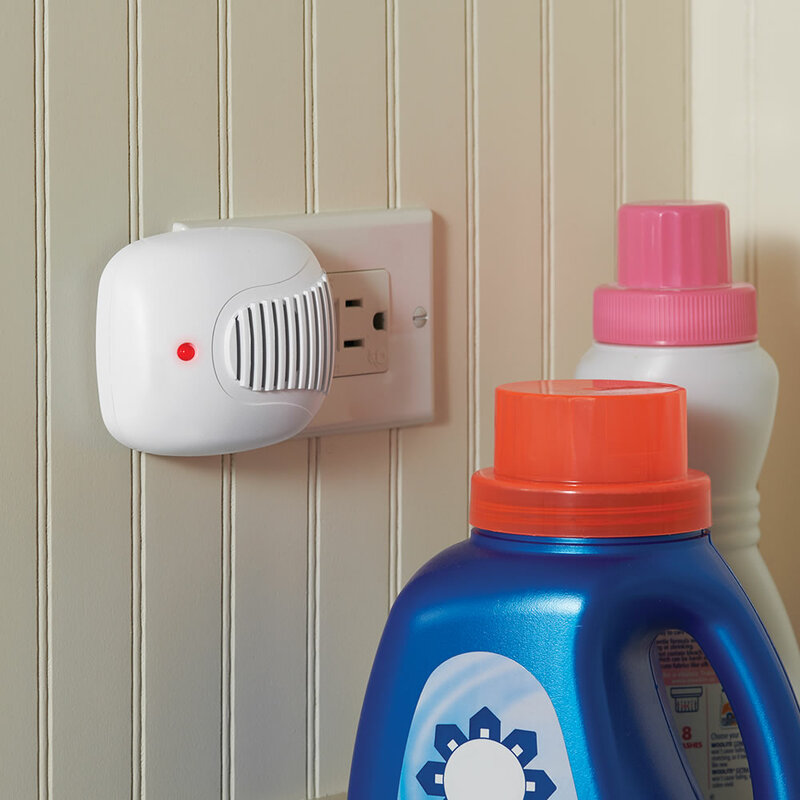 Includes two mini repellers for placing behind furniture or appliances, two medium-sized units for set-up in a small room or closet, and two larger units with a pass-through AC outlet for positioning in open attic or basement area. Set of Six. The Attic To Basement Pest Repelling Kit comes with The Hammacher Schlemmer Lifetime Guarantee. Items that we sell are guaranteed for their normal life under standard non-commercial use.